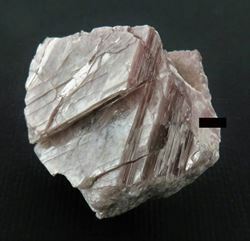 Noumas 1 Pegmatite, Northern Cape, South Africa. 70mm x 30mm x 20mm. 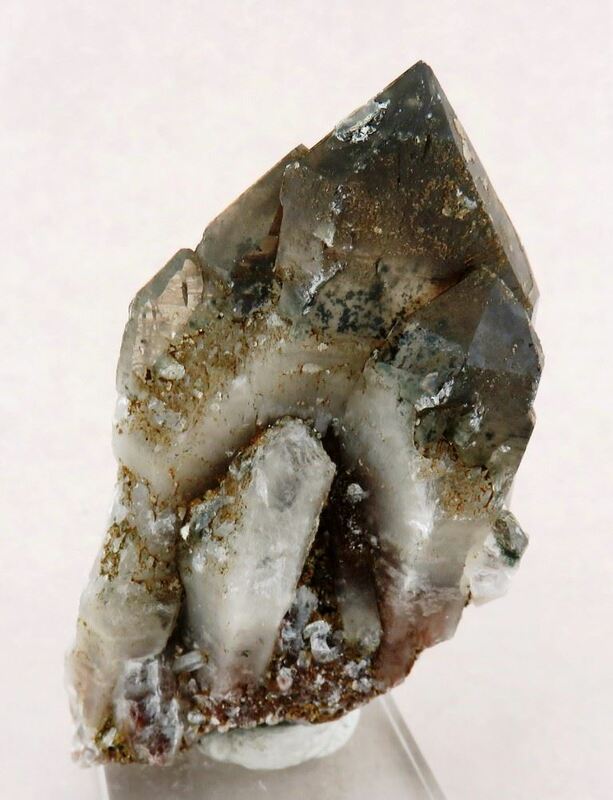 Noumas 1 (Blesberg) was well known for the quartz as well as numerous other minerals one could find during the mining operations. 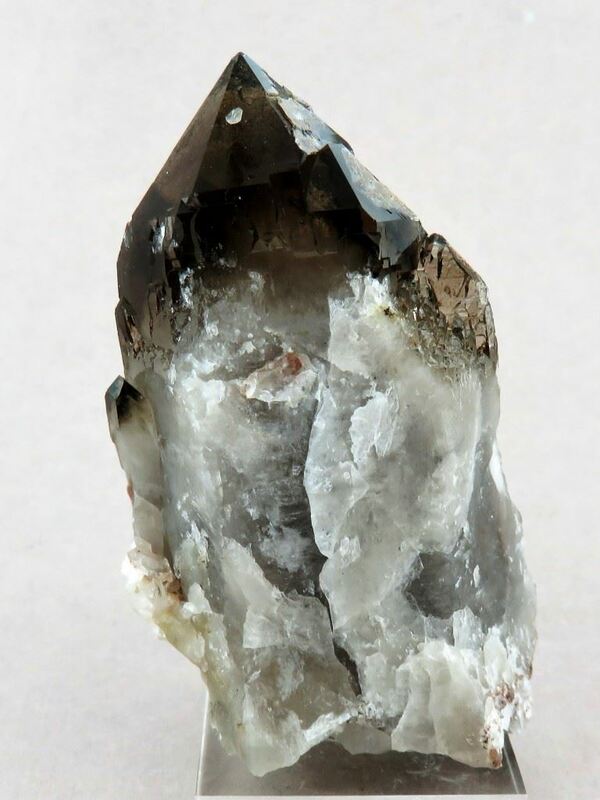 This specimen was self collected many years back, The "Smoky" tip contrasting the white base is what cuaght our eye. Estimated shipping weight including packaging 170gr.